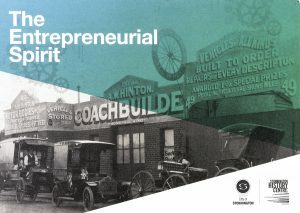 The Stonnington History Centre is having an exhibition called “The Entrepreneurial Spirit”. It is celebrating local businesses from the past in photographs and ephemera. 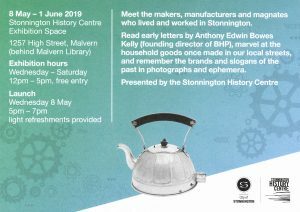 It runs from 8th May- 1 June at the Stonnington History Centre Exhibition space behind the Malvern Library- 1257 High St. Malvern. During World War 1, many soldiers on leave would get their photograph taken in a studio. These were printed onto photgraphic cards which had the postcard back. Usually only a small number were printed at a time so they could be sent home during their service or traded with their friends as momentos. Families at home also sent postcards back to the men at the front. They were often commercial postcards showing local scenes. 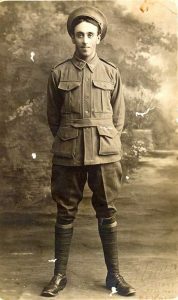 The Australian war memorila has a “The Australian postcard collection”, a collection of postcards from the time. 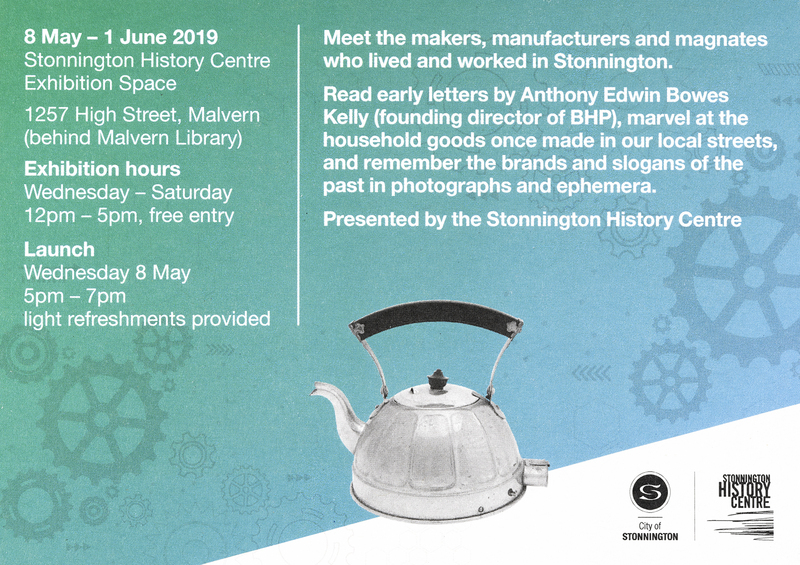 Protecting and preserving old photographs. Photographs should not be stored in Attics or garages. Variation in temperature results in cracks in the emulsion. Keep photographs out of direct sunlight. All photographs will fade in time if exposed to sunlight. It is important not to touch photographs on the emulsion side as oils and acids on the fingers can damage the photographic emulsion. Copy/ scan photographs to preserve the image. If the original is lost, at least there is the copy. Do not put sticky tape on old photographs. It can be impossible to remove without damage and the glue can also affect the emulsion. Do not attempt to clean photographs by wiping with a wet sponge. This can cause the emulsion to swell and come away from it’s base. Framed photographs can get moisture damage, resulting in mould, often because the print is in contact with the glass. This can cause the photograph to stick to the glass and be impossible to remove. To avoid further damage, the only answer is to copy and make a new restored print. A mat between the photograph and glass gives separation and stops mould. Mould is also a serious issue as it destroys the emulsion. The best protection is to store photgraphs is a dry place, not in garages or areas of high humidity. Often tropical climates have this problem with photographs. It is worth noting that since the 1980’s technology for colour print stability has greatly improved. Prior to this the chemical reactions in colour photographs cause fading within a few decades. This can often be digitally retouched and reproduced back to an acceptable condition. One of the main problems is loss of detail if the fading has gone too far. With modern archival inkjet prints, colour prints should last a lifetime and longer if stored in cool, dry conditions. Original faded colour photographs cannot be successfully restored, only reproduced and restored. Colour transparencies (slides) made before the 1980’s, will fade even if kept in the dark. However they are much less susceptible to fading than prints. Otherwise known as oxidative-reductive deterioration, this is similar to tarnishing on silverware and is a complex chemical reaction. It can be exacerbated by heat and excessive humidity. Surface cleaning can reduce the effect but you must be very careful! The best result is obtained by copying with a camera using a polarising filter to reduce flare. This technique cannot be achieved with a scanner. http://www.slv.vic.gov.au/search-discover/explore-our-digital-image-pool These are important as we are rapidly losing much of our architechtural heritage to modern development. Also they provide an important reference for how previous generations lived. A long, rolled up panoramic photograph of the 31st infantry battalion. The 31st battalion fought its first major battle at Fromelles on 19 July 1916, having only entered the front-line trenches 3 days previously. The attack was a disastrous introduction to battle for the 31st – it suffered 572 casualties, over half of its strength. Although it still spent periods in the front line, the 31st played no major offensive role for the rest of the year. (scource Australian War Memorial). Hello Peter. Thought I’d just let you know that my father really loved and was really impressed by the montage print. It brought back lots of memories for him and he also loved seeing all the old photos on the TV via the CD. Thanks from all of us for your creativity, care and attention in putting it all together. We’ll recommend you to anyone else we come across who may want something similar (or different!) by way of photo work. Dear Peter. The parcel arrived safely today. Again thank you for your excellent work. Hi Peter. I just wanted to write and thank you for the beautiful job you did on the photos of my grandparents. When my uncle saw them he actually got teary- they were just the way he remembered them hanging on the wall at my grandparents when he was a little boy. Thank you so much for helping to create such a beautiful 50th birthday present and for restoring our family pictures with so much love and attention to detail. I cannot recommend you highly enough to other people. I know we will all enjoy the beautiful photos for many years to come. Thank you again.